English spelling can be tricky, but there are many tips and tricks to memorize to get better at it. 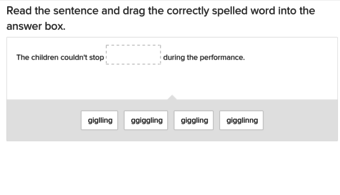 In these online spelling exercises, kids can practise proper spelling, learn some common spelling conventions, and memorize all the quirks of the words that don't follow spelling rules! 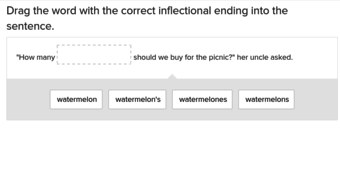 After spelling comes perfecting their Grammar, where kids can complete their writing success. Spelling -- one word, a big concept. Unfortunately, there's no way to learn to spell every word right, every time...but there are plenty of rules to familiarize yourself with. 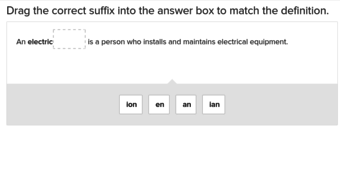 If your student is struggling with spelling, our online exercises no doubt have what they need to improve their spelling skills. 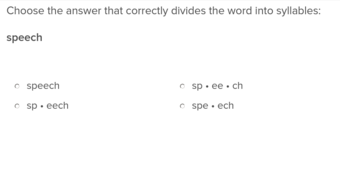 With Education.com's spelling exercises, your student can practise using common spelling patterns, and also just get to know words that come up often. Take a stab at multi-syllable words, singular and plural possessives, double consonants, Homophones...all on the first page alone. 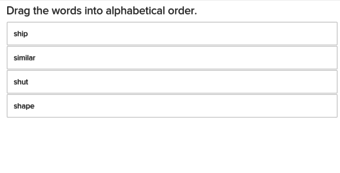 We have all sorts of approaches, too, so kids who do better with writing out sentences can make their own, or they can choose from a drop-down or pick an answer from a multiple choice question. We even have special quizzes to clear up those tricky words that don't follow the rules! No matter what you're looking for, we no doubt have what you need.